DarkTimer 2 is the ultimate three-in-one timer tool for your film photography! It will keep an organized collection of your film recipes and enlarger prints. 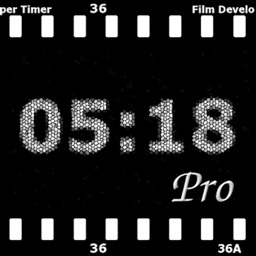 Timers for film developing, film enlarger split grade timer and paper developer sequential timers all in your pocket! 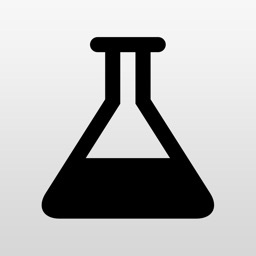 - Self film recipes database. Keep your film development organized in your pocket in a beautiful interface. 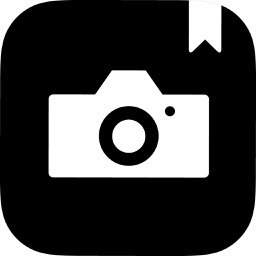 - Customizable film details: Name, ASA, format, type, expiration date and notes. Every film has it’s own character. - Selectable film list included. Easy to find film list. - Support for color and slide film process types. For your color developing recipes. - Selectable film developers list included. Make your own developers and add to the existing list. - Customizable solution details: time, temperature, volume, dilution, agitations, push/pull, stops. Each solution has a timer and many configurations. 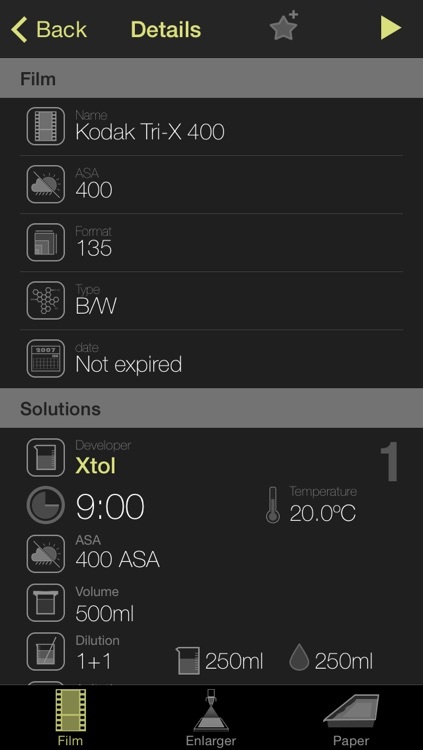 Choose the volume and developer dilution DarkTimer calculates the amount of water/developer for you. Calculates difference between film and developers ASA. 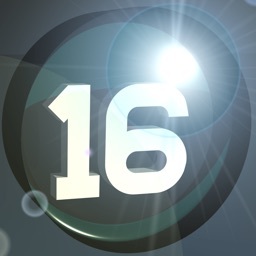 - Next agitation timer countdown. Besides the main timer DarkTimer informs you the time left for the next agitation. All bleeps, beeps and ticks that will inform the status of operation. Keep your silver prints organized. In Darkroom all details matters. Enlarge better prints using 2 grade filters. - Test Strip normal mode and in half-stops increments. 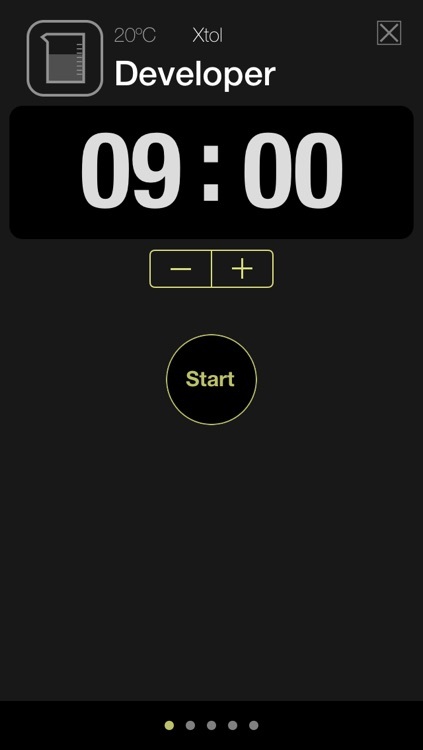 Test Strip timer will do half-stops increments for more precision. 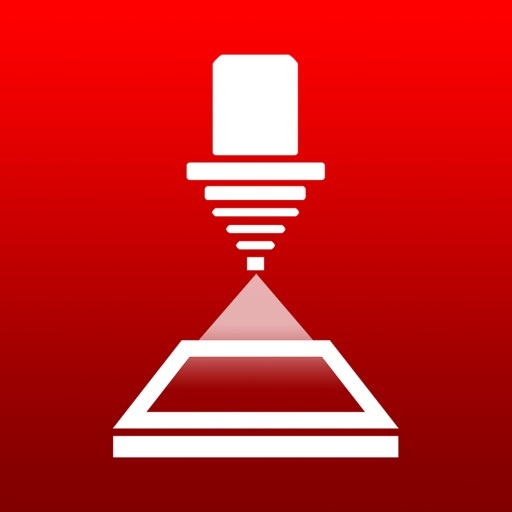 - Filter and Burn Timers. 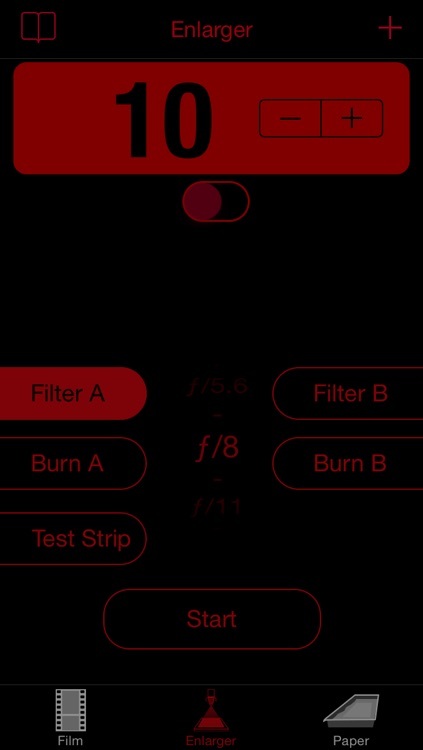 Two Filters for Filter and two more for Extra burning techniques. A Enlarger Schematic to review your print details. 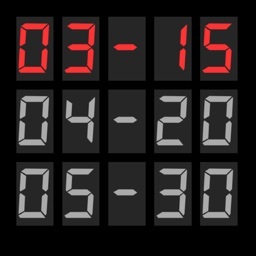 - Sequential timer list for paper developer. The timers will run in sequence, no need to switch timers. 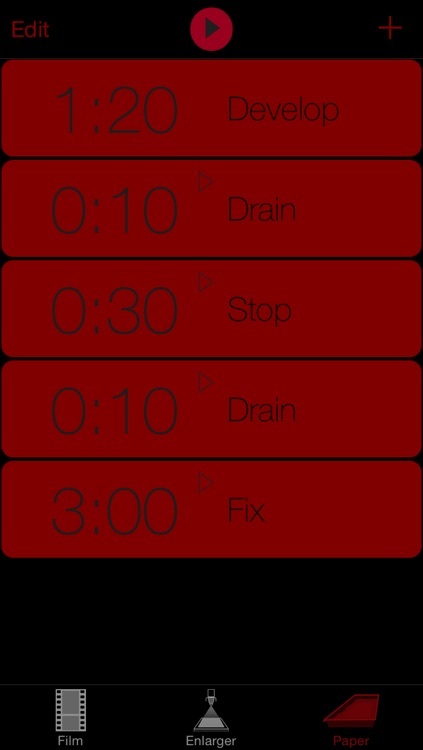 - Automatic start between timers. Control which timers you want to start automatically.